Atlanta area florist, Peachtree Petals, has recently added yet another accolade to their repertoire. Atlanta florist, Peachtree Petals, has recently added yet another accolade to their repertoire. Throughout the past year Peachtree Petals has become Atlanta’s premier floral boutique after receiving awards such as 11Alive’s #1 area florist, Weddingwire.com and TheKnot.com’s Preferred Florist, and a Master Florist certification from FTD. Most recently, Peachtree Petal’s has been recognized by FTD as a Top 100 Partner. According to FTD, a Top 100 Partner is a valued business partner with the world-renowned florist, FTD. 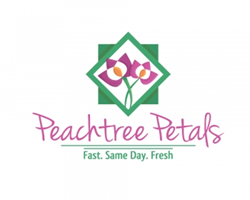 FTD recognizes Peachtree Petals as a company that is committed to consistently delivering quality floral products and continues to invest in programs and services to expand and strengthen their business. FTD has bestowed the prestigious Mercury Man upon Atlanta’s Peachtree Petals, which signifies their success and inclusion in the revered Top 100 category, and now displayed within Peachtree Petals’ floral boutique is the 2012 Top 100 Partner plaque. Located at 1231 Collier Rd. in Atlanta, GA., Peachtree Petals strives to provide the highest quality floral arrangements, gift baskets, and wedding services all for reasonable prices. This commitment to excellence in product and service has garnered national attention in 2013, and we expect to see continued success throughout 2014 as Peachtree Petals expands its business to include more weddings than ever before, free hospital delivery, and flat-rate national shipping.